CPS, which owns and operates the GeniePoint Network, will install 50 – 100kW specification rapid chargers at supermarkets up and down the country. The first are to be installed by the end of next month and 100 are expected to be operational by the end of the year. 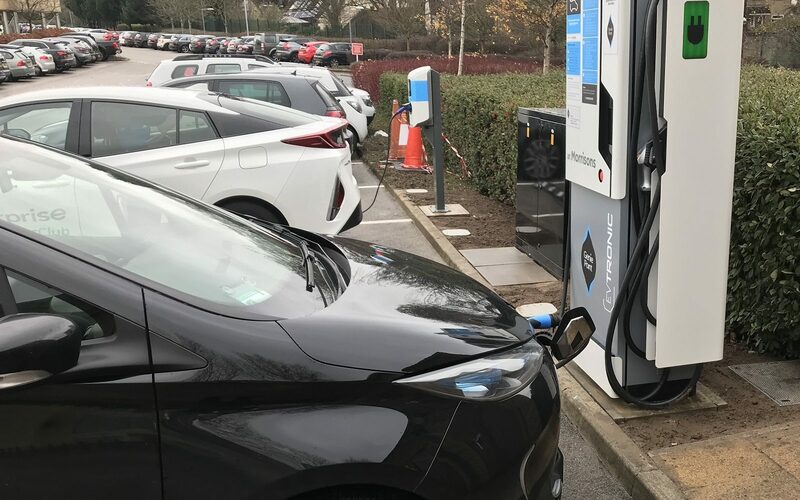 Andrew Ball, senior buying manager for fuel & services at Morrisons, said that the addition of rapid chargers was in response to customer feedback regarding at-store services, tying in EV chargers with everyday services like parcel collection, recycling and purchasing holiday money. Supermarkets have long thought to be an ideal destination for public EV charging and the UK’s brands have not held back. In November Tesco confirmed that it was to take delivery of 2,400 Pod Point EV chargers as part of a programme including automotive giant Volkswagen.